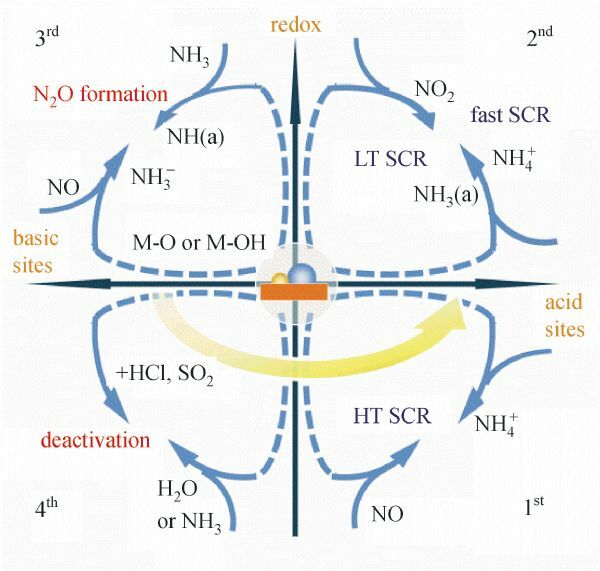 Selective catalytic reduction (SCR) of NOx with NH3 is an effective technique to remove NOx from stationary sources, such as coal-fired power plant and industrial boilers. Some of elements in the fly ash deactivate the catalyst due to strong chemisorptions on the active sites. The poisons may act by simply blocking active sites or alter the adsorption behaviors of reactants and products by an electronic interaction. This review is mainly focused on the chemical poisoning on V2O5-based catalysts, environmental-benign catalysts and low temperature catalysts. Several common poisons including alkali/alkaline earth metals, SO2 and heavy metals etc. are referred and their poisoning mechanisms on catalysts are discussed. 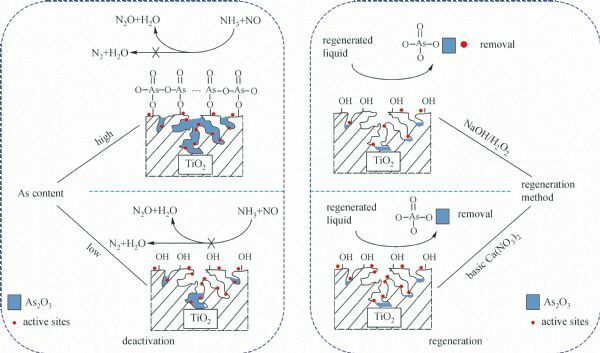 The regeneration methods of poisoned catalysts and the development of poison-resistance catalysts are also compared and analyzed. Finally, future research directions in developing poisoning resistance catalysts and facile efficient regeneration methods for SCR catalysts are proposed. Junhua LI,Yue PENG,Huazhen CHANG, et al. 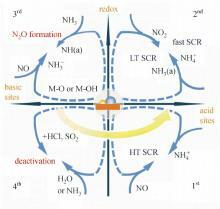 Chemical poison and regeneration of SCR catalysts for NOx removal from stationary sources[J]. Front. Environ. Sci. Eng., 2016, 10(3): 413-427. Shi Yin, Yan-Qiu Chen, Yue-Li Li, Wang-Lai Cen, Hua-Qiang Yin. 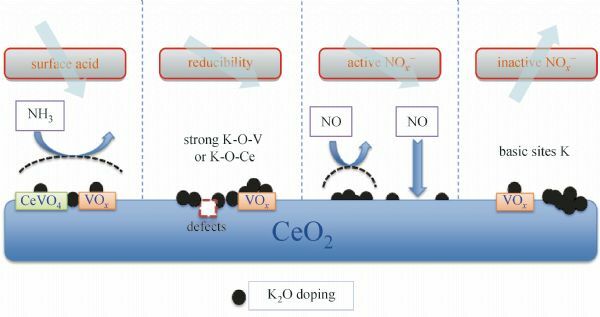 Static and dynamic characteristics of SO2-O2 aqueous solution in the microstructure of porous carbon materials[J]. Front. Environ. Sci. Eng., 2018, 12(5): 12-. Yi ZHAO,Tianxiang GUO,Zili ZANG. Activity and characteristics of “Oxygen-enriched” highly reactive absorbent for simultaneous flue gas desulfurization and denitrification[J]. Front. Environ. Sci. Eng., 2015, 9(2): 222-229. Yongfu GUO, Naiqiang YAN, Ping LIU, Shijian YANG, Juan WANG, Zan QU. Removal of elemental mercury with Mn/Mo/Ru/Al2O3 membrane catalytic system[J]. Front Envir Sci Eng, 2013, 7(3): 464-473. CUI Xiao, LI Caiting, WANG Fei, LI Shanhong, XIAO Chenchang, PENG Yu, ZHAI Yunbo. 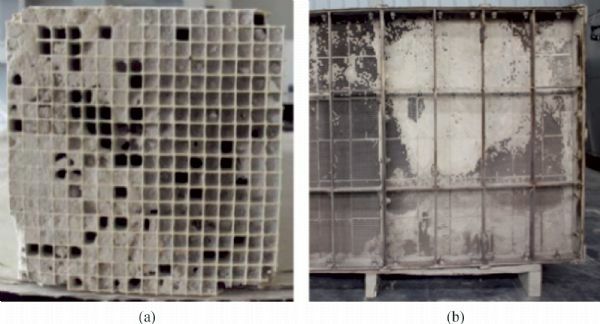 Experimental study on the control of black smoke pollution from the ceramic kilns based on the mechanism of the surfactant and coagulant[J]. Front.Environ.Sci.Eng., 2008, 2(1): 109-115.